Comic Book Cover of the Week! Savage! Well folks if you’re fans of the Hulk it just DOESN’T get any better that this! Here you have probably my favorite picture ever drawn and or painted of ol’ Jade Jaws by none other than the legendary John Buscema! This one comes from The Hulk Magazine #26 from 1978. 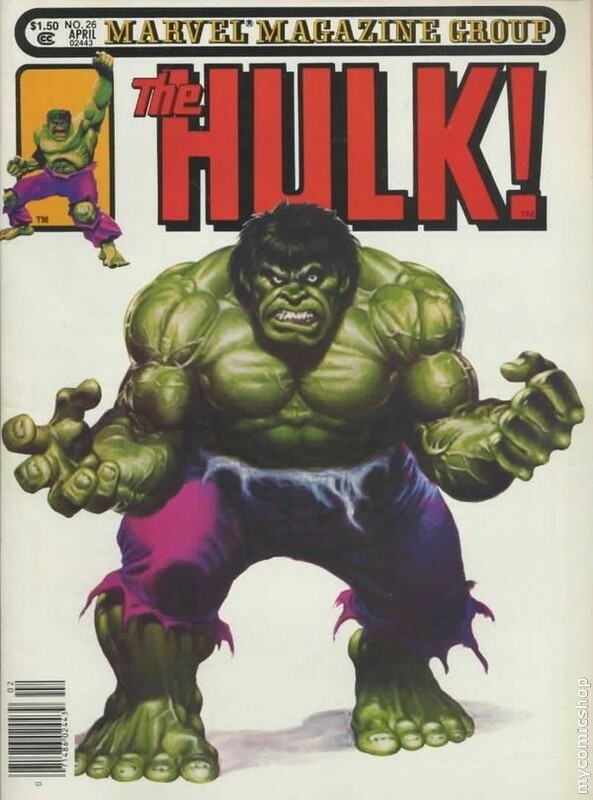 The Hulk magazine was called also The Rampaging Hulk, and to be honest they all had pretty amazing covers. They were essentially big Hulk comics, mostly printed in black and white, with original stories written exclusively for the magazine. They often times had back up stories by various other non-Hulk related characters and often times a Hulk “villains gallery” after the main Hulk story. Anyway when it comes to the Hulk this is what I always picture in my heads as what he should look like-a monster! I challenge anyone to provide me here with a better picture of the Hulk! Yeah it’s a dare! I really dig this pic! It reminds me of how he was when I was a kid. Guillermo Del Toro to Remake The Swamp Thing? World’s Greatest Horror Themed Music Videos! Fat Boys!